At 9:45 p.m. on Day 1b, the last level for entries and reentries in Mid-States Poker Tour Ho-Chunk Gaming was about to begin. Benjamin Berlowski decided to give the tournament a shot. About 26 hours later, he walked out the door with a brand new MSPT trophy and $90,632. The Janesville, Wisc., native defeated a field of 349 players, finishing off Andrew Rubinberg in a short heads-up match to defend home turf. Current MSPT Player of the Year leader Mike Deis came agonizingly close to extending his lead, but he bubbled out of the tournament when he was unable to improve all in preflop with against the of Nick Pupillo. Once in the money, tour pros Kirby and Matt Alexander fell, as did Zarlenga, Jason Mirza, Lance Harris, Tony "Lazer" Lazar, and Todd "sharkslayerr" Breyfogle. Along the way, one of the defining pots of Berlowski's tournament cropped up, when he limped in from early position and then called a raise to 41,000 from button Kris Ehlen. The flop came , and Berlowski check-raised after Ehlen bet 35,000. Ehlen said he was all in, and Berlowski quickly called. Berlowski had flopped a set, and no queen appeared on the turn or river to save Ehlen. 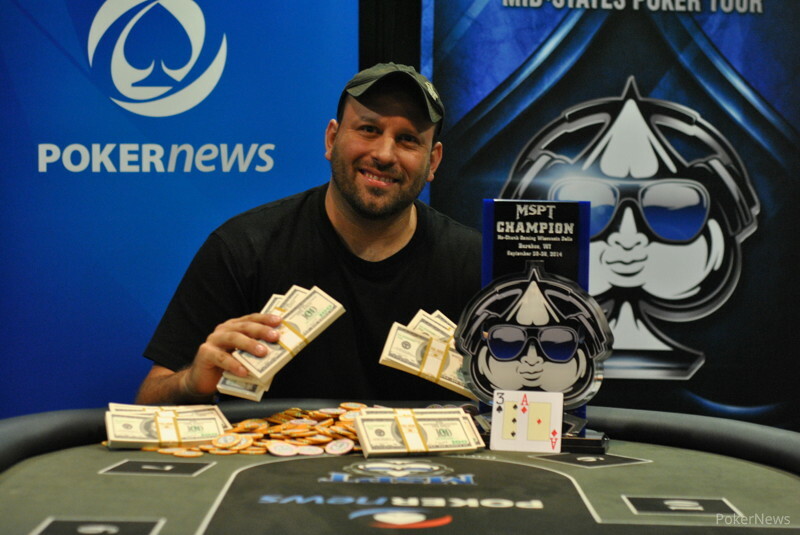 Minnesotan Rob Wazwaz bowed out first when he got his short stack all in with and failed to catch the of Chicago mixed-game player and bracelet winner Nick Kost. 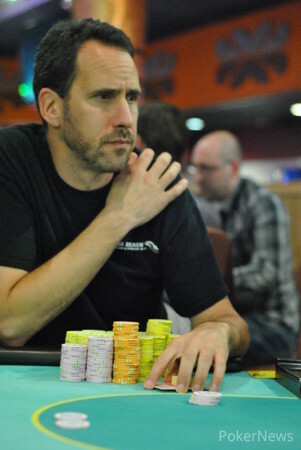 Erich Ponath went next when his aces were outdrawn by Rubinberg, and local player and MSPT regular Ken Payne quickly followed in eighth when he, too, lost with bullets. Another quick elimination followed with Kraig Benson in seventh, who turned a straight only to see Berlowski turn over a flush. Anselmo Villareal was next out the door in sixth when he lost a race to Kost, and five-handed play finally brought some back-and-forth rather than rapid eliminations. 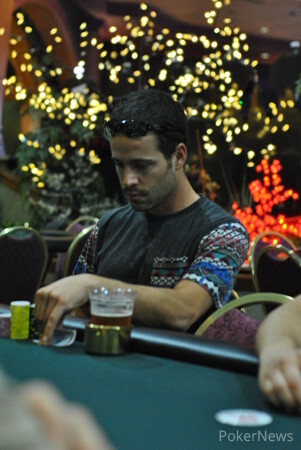 Eventually, Nick Pupillo busted in fifth after losing most of his chips in a race to Michael Ross, the score coming about a month after he took seventh at MSPT Tropicana Evansville. Ross couldn't sustain the momentum, bowing out in fourth in a massive pot. Berlowski had called a standard open from Ross, and then called a continuation-bet on a flop. An turned, and the two got it all in for about a 3 million chip pot in Level 25 (15,000/30,000/4,000). Ross had for top pair and the nut flush draw, but he needed to catch against Berlowski, who had another set of fives. A river was no help for Ross, who stuck around to support fellow Chicago grinder Kost. Three-handed play saw the most critical pot of the tournament develop during that same level. Kost raised to 70,000 from the button and was called by Berlowski. Rubinberg shoved all in for 412,000, and Kost reraised another 412,000. Berlowski announced a call after thinking for a couple of minutes. The dealer spread a flop of , which both players checked. A turned and Berlowski shoved all in. It turned out they were; Berlowski showed for ace-high with a king-high heart draw, while Rubinberg had for a pair of threes. A hit the river, and Kost pulled his hat low over his head in frustration. Kost never recovered, busting a short time later when he found nothing on the board with against the of Berlowski. The MSPT will return in mid-October for another event at Firekeepers Casino, and PokerNews will be on hand for more live coverage. Andrew Rubinberg pushed all in for about 500,000 on the button, and Benjamin Berlowski peeked down at his cards and called. The dealer spread the flop: . "Good flop for you," Berlowski observed, as Rubinberg now had a combo draw plus pair outs. The was a brick turn. "There's the blank," Berlowski said hopefully, as he needed just one more. It came in the form of the . 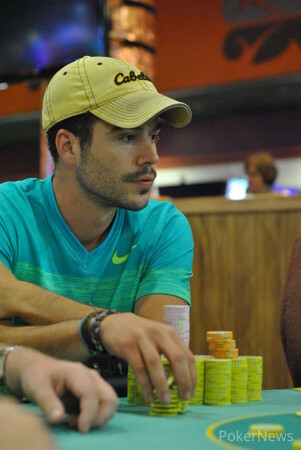 Nick Kost raised to 100,000 in the small blind, and Benjamin Berlowski reraised to 450,000. Kost softly announced that he was all in. Berlowski called immediately. The race was on, but nothing materialized for Kost on the flop. The turn and river were also bricks, and the tournament is now heads up. Nick Kost's stack is slipping. Andrew Rubinberg open-shoved the small blind for 636,000, and Nick Kost called. Michael Ross called for a three from Kost's rail, and Kost increased the plea to ask for two threes. It was two sixes coming out, however, on the board. Nick Kost raised from the button and was called by Benjamin Berlowski in the small blind. Both players checked the flop, and Berlowski check-called 155,000 after the turn made the community . A finished the board, and Berlowski checked and snap-called 435,000. Kost mucked just as quickly, and Berlowski showed . Benjamin Berlowski limped the button and then called 125,000 from small blind Andrew Rubinberg. Rubinberg continuation-bet 150,000 on the flop, and an paired the board. Rubinberg slowed down with a check, calling 300,000 from Berlowski. Another pair arrived on the river, and Rubinberg checked again. 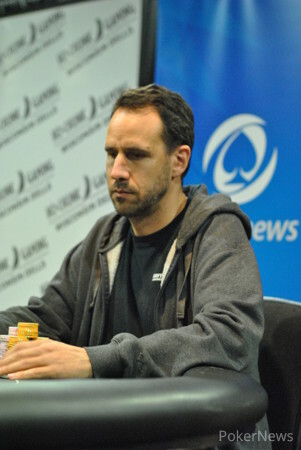 Berlowski put him all in for about 580,000, and Rubinberg flicked the dealer his cards. Nick Kost raised to 70,000 from the button and was called by Benjamin Berlowski. Andrew Rubinberg shoved all in for 412,000, and Kost reraised another 412,000. Berlowski announced a call after thinking for a couple of minutes. The dealer spread a flop of , which both players checked. A turned and Berlowski shoved all in. It turned out they were; Berlowski showed for ace-high, while Rubinberg had for a pair of threes. A hit the river, and Kost pulled his hat low over his head in frustration. Benjamin Berlowski and Andrew Rubinberg play heads up.